Since January Sprowston Community High School has been holding Arts Award classes every Tuesday after school. Organised by Take Your Place Higher Education Champion (Arts) Jodie Marr, the session is run by Wandering Arts, and Elaine Humpleby, Head of Creative Arts at the school. The class has been completing their Bronze Art Award. To encourage the students to learn, develop and collaborate with each other, the classes are a mix of year 9, 10 and 11 students. The students enjoy learning new skills and developing their artwork in the classes. 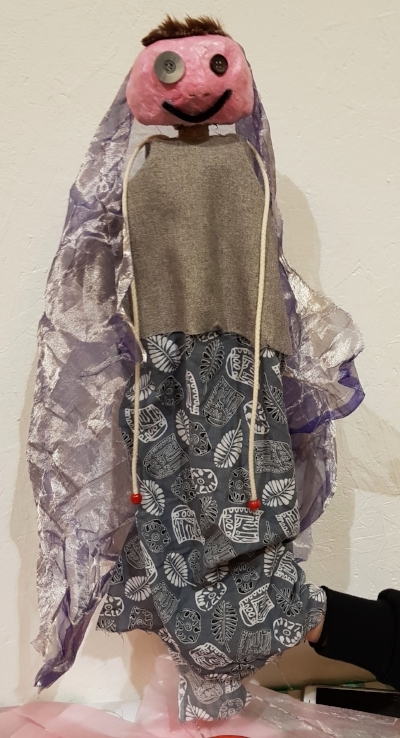 One student said "Arts Award is great fun and an opportunity for me to develop my work experience", while another said "Arts Award is allowing me to develop my skills and artwork". This week the class took a trip to the Puppet Theatre in Norwich for a full day workshop. 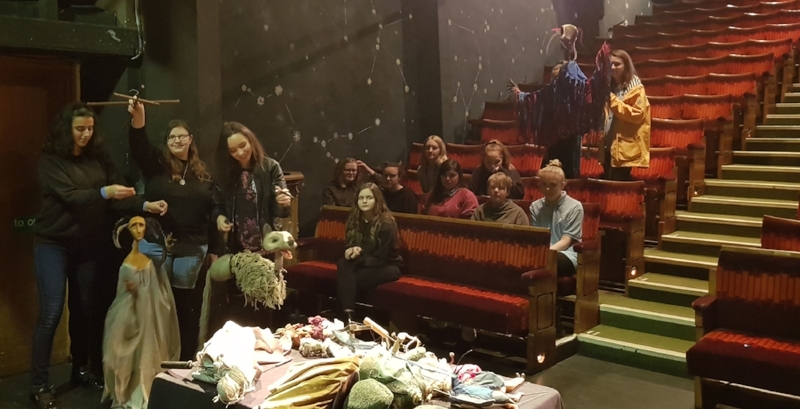 Elaine Humpleby comments on their trip: "12 of [our] students got their practical project off to a flying start this week with a full day workshop at the fantastic Norwich Puppet Theatre. The day began with an introduction to the range and types of puppets that are used and students were able to have a go, they even got to manipulate one of the oldest puppets in the theatre. The rest of the day was spent making their own puppets; some of the puppets they made have a rod and others have a rod and string mechanism. The results are just wonderful. I am so proud of the creativity, imagination and commitment they show every session but especially for this workshop." Wandering Arts teacher Jennie Robinson said "Visiting the Norwich Puppet Theatre was an excellent opportunity for the students as it demonstrated how the arts can be used in a variety of ways, including careers they hadn’t considered before, for example being a puppeteer, making marionettes, and aspects of the theatre including stage lighting. We had a professional puppet maker with us throughout the day who shared her skills with the students and they could speak with her about the profession." The students will use techniques they learnt from their visit to the Norwich Puppet Theatre, along with other skills they have developed through the project, and share them with children at their local primary school. Passing on skills to others is an essential element to the achieving the Bronze Arts Award qualification. The class will be returning to the puppet Theatre this Friday to watch a performance, There and Back Again - An Odyssey. Jennie commented "Being an audience member is another element to achieving the Bronze Arts Award as it gives the opportunity to reflect on the creative impact of an arts event, the quality of the event, and the art form involved. 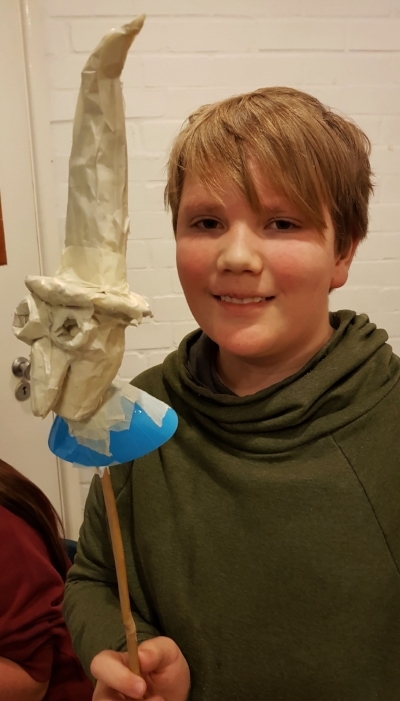 "By combining the experience of puppet-making with watching a professional show will demonstrate how the students' new skills could be developed further and turned into a career path," Jennie concluded.